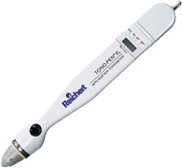 The tonometer tip covers manufactured by Automated Ophthalmics set the industry standard. Our tip covers are powderless for better service life, and less expensive than competing alternatives. 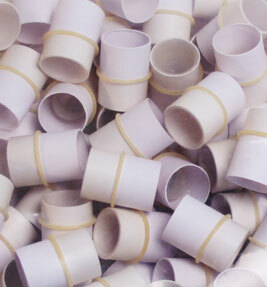 With 15,000 measurements you would save $1,560 vs. Occufilm tip covers. Our tonometer tip covers fit both the Tono-pen and the Accupen. 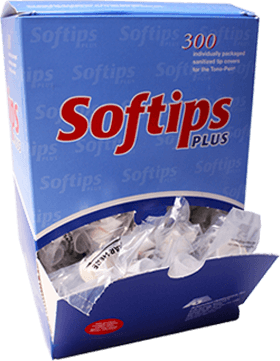 There is never a back order for our tip covers because we are the manufacturer. In an attempt to earn your tip cover business, we offer this service free of charge. You pay only the shipping costs. Automated Ophthalmics, Inc. offers repair services for most models of of the TonoPen at a flat rate of $475. TonoPens are thoroughly cleaned, repaired, re-calibrated and tested. (We offer quick turnaround, usually less than two weeks) along with a 90 day warranty. order online – one stop shopping! With convenient online ordering, for all your supplies. UPS ground shipping is free on all prepaid internet supply orders over $100 shipped within the continental USA.